Cary Fukunaga is officially directing James Bond 25, with Daniel Craig set to reprise his 007 role, reportedly for the last time. Michael G. Wilson, Barbara Broccoli, and Daniel Craig made the announcement this morning, while adding that production has been pushed back to March of 2019 for a worldwide release date of February 14th, 2020. The film was previously set to go into production in December of this year, with a release date slated for October 25th, 2019. Director Danny Boyle exited James Bond 25 back in August, throwing the production into disarray. It has been reported that the director left the project due to creative differences, leaving fans of the iconic franchise to speculate about who would be taking over to helm the 25th installment. Cary Fukunaga's involvement with James Bond 25 marks the first time that an American director has helmed a 007 film in the 55-year history of Eon producing the franchise, though Irvin Kershner directed 1983's Never Say Never Again. That film was the only installment of the franchise not to be produced by Eon. Producers Michael G. Wilson and Barbara Broccoli have met with numerous directors for James Bond 25 since Danny Boyle dropped out. Boyle reportedly wanted to bring on John Hodge to write the film, but Eon disagreed and wanted to bring back Neal Purvis and Robert Wade. In the end, they chose to work with Cary Fukunaga with Purvis and Wade returning. Broccoli and Wilson had this to say about working with the new director. "We are delighted to be working with Cary. 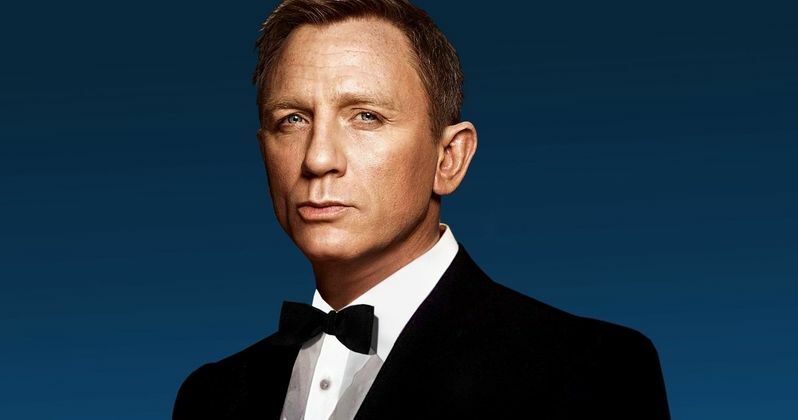 His versatility and innovation make him an excellent choice for our next James Bond adventure." Cary Fukunaga directed the first season of HBO's True Detective, which starred Matthew McConaughey and Woody Harrelson and is considered to be the best of the seasons released thus far by fans. Fukunaga was also one of the writers on Andres Muschietti's big screen adaptation of Stephen King's IT. In addition, the director also helmed the new Netflix series Maniac, starring Jonah Hill and Emma Stone. Maniac has been getting rave reviews like most of the projects that Fukunaga works on. When Danny Boyle left James Bond 25, it was widely known that the production and release date would get pushed back, which has now officially been confirmed. However, long-time 007 fans should breathe a sigh of relief that the film is actually moving ahead now after the director shakeup. Cary Fukunaga is set to direct what will more than likely be Daniel Craig's final outing of the iconic character and hopes are high. Hopefully, Fukunaga is able to deliver like he has in the past through his diverse resume. You can check out the official announcement regarding Fukunaga's hiring, along with the new release date for James Bond 25 below, thanks to the James Bond Twitter account.